Can’t seem to focus? Distracted by your long to-do list? Feel like every idea you come up with is falling short? …You’ve got a case of writer’s block. Everyone at some point or another has faced this challenge, not just writers. It can feel defeating and stressful, especially if you are facing a deadline. There are however simple and fun ways to overcome this and get back into your groove. 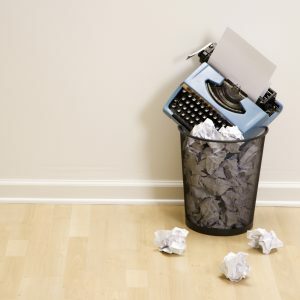 Try out these tips of the trade to overcome writer’s block. If I’m hitting a wall creatively, one of my favorite things to do is switch things up with my writing tool. Changing my font, font size and font color helps me get my thoughts out better. This simple change can make a big difference. Another thing a lot of writers do, switch from Microsoft Word to Google Docs. This is not something I’ve personally tried out but other writers find it helpful. Another favorite tip of mine to get the creative juices flowing—coffee! Even if you aren’t tired, something about that boost of caffeine and improved alertness significantly helps. Writers will take a coffee or tea break to help get out of a rut. Try drawing inspiration from unexpected places. Great ways of doing this—go see a movie you normally wouldn’t or watch a new show you’ve never seen before. It’s so important to mix things up and channel your creativity from new and unlikely sources. Writers have opposing views when it comes to this tip. A lot of writers have a schedule they like to follow, while others find writing at a different time helps with creativity. In addition to mixing things up with your writing time, the best thing you can do to draw inspiration—write in a new place. Although traveling the world would be ideal, it’s not realistic. Instead take a break and get up from your desk and out of the office. Sitting outside or at nearby coffee shop will help your writing process immensely. Something I learned from our Creative Director when I first started working at Apple Box and still continue to do daily—look at Google images associated with your writing topic. This gets your mind working in a different way and you’re bound to come up with something new and unique than before your image search. Go back to the pen and paper and shut down your computer for a bit. Something about actually writing out the words can be very inspiring. Even jotting down random words and ideas can turn into something great. Overall writing isn’t easy. Hitting a wall creatively can be frustrating but you can’t let it defeat you. Instead try out these simple and helpful tips to get your creativity going again.